In Bahar Omdurman, supporting local people to lead was the key to a healthier community. One morning in April, I headed out early for the village of Bahar Omdurman in Darfur, Sudan, with an Oxfam team. The road was sandy and haphazard – two lanes whose meandering paths looked like long strands of hair as they separated and converged across the landscape. It was blessedly cool before dawn, but when the sun rose over the Wolf Mountains to the east, we knew it would usher in another blistering day. Our destination was the village of Bahar Omdurman. Our focus: safe sanitation. Of all the projects I had a chance to visit in Darfur on this trip—from supporting women’s savings groups to keeping livestock healthy to strengthening grassroots peacebuilding—sanitation sounded at first like the least fascinating, but from the moment I sat down with community members in Bahar Omdurman, I was riveted. In other words, this community has undergone a serious transformation. The farming villages of Darfur are under pressure in every way. They are extremely poor, they are facing the devastating effects of desertification and climate change, and they live in a region that since the outbreak of armed conflict in 2003 has been both volatile and violent. 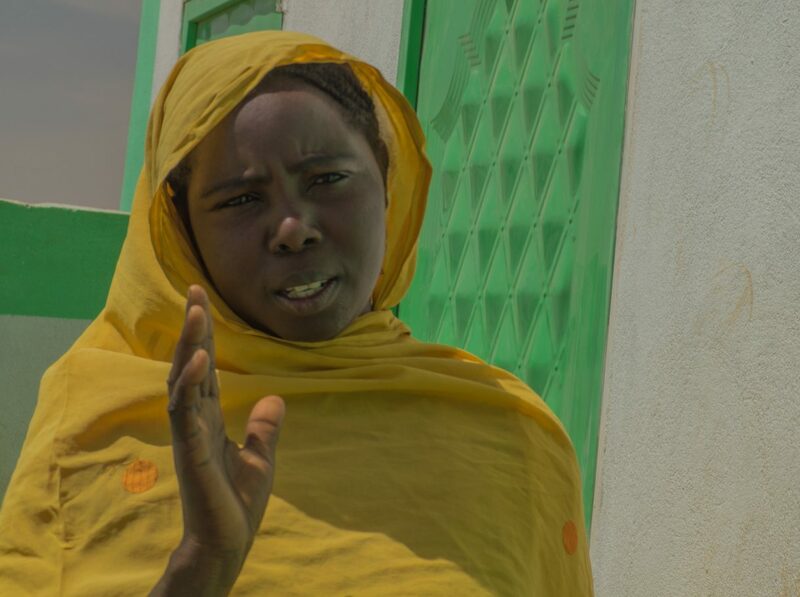 Hygiene and sanitation haven’t always been a top priority, but in Bahar Omdurman, the community came to realize that these, too, are matters of life and death. “People used to leave rubbish lying around in our village. It was common to defecate in the open, and there was a lot of infectious disease,” said Abukar Hammed, a teacher in the local school. 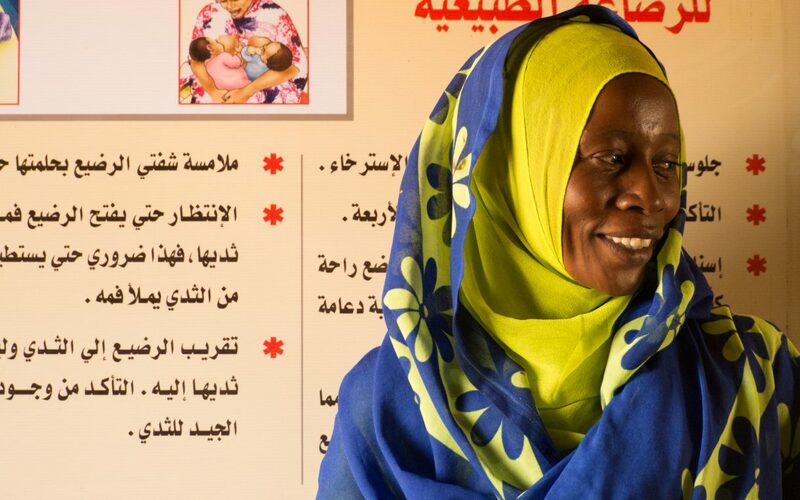 In late 2016, Oxfam and our local partner VNRHD (the Volunteer Network for Rural Helping and Development) set out to give a hand to some of the North Darfur communities that were struggling with public health. 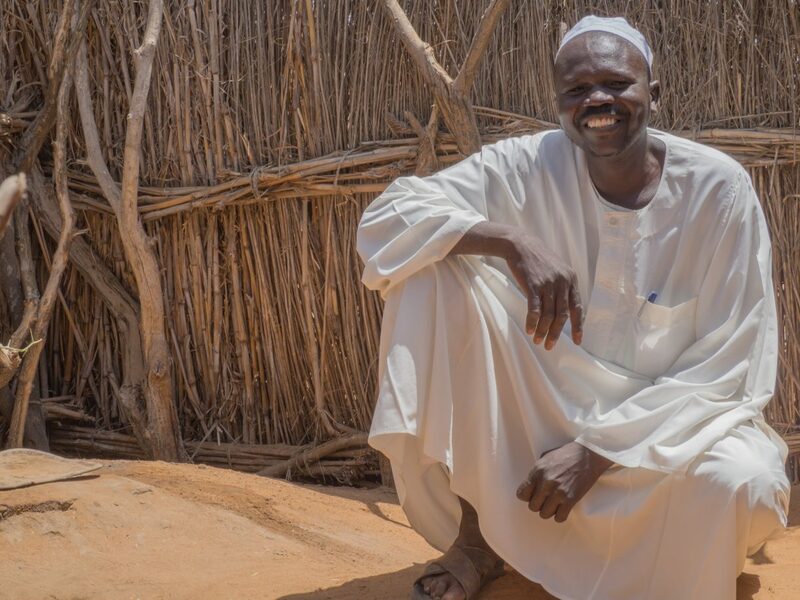 In Bahar Omdurman, we wasted no time in building two latrines at the local school—one for boys and one for girls—to address the most critical gap in sanitation. But this story isn’t about latrines built by Oxfam. It’s about community members who took matters into their own hands. When outsiders show up and dish out goods, it doesn’t always have a good effect in the long run. That’s why, for example, in our Saving for Change programs we share information and techniques about community finance but don’t contribute a penny to the pot of savings. Turns out the same principle can apply to latrines. Sanitation facilities conceived and constructed by well-meaning aid providers sometimes fall into disrepair and disuse. But sometimes if an aid agency inspires a community to act, providing the right kind of information and moral support but few tangible or financial inputs, the results can be sustainable change. In Bahar Omdurman and 22 other villages, Oxfam and VNRHD trained community volunteers in the basics of health and hygiene, and the importance of ending the practice of defecating in the open. We explained how to build a safe latrine and offered a prefabricated latrine slab to any family that couldn’t afford one; the rest was up to them. The volunteers went door to door, day after day, until everyone got the messages. Anyone who’s ever followed the news of a cholera epidemic knows how deadly diarrhea can be; less well known is how crippling it can be to a child’s education. In Sudan, there is a high-stakes exam that determines a student’s eligibility for high school. “Until recently, around 10 percent of our students would be out sick each year at the time of the annual high school entrance exam,” said Aziza Mohammed, a teacher who also works with VNRHD. Now, she said, that number is down to one percent. You can help communities in crisis improve their access to clean water and sanitation with a gift to our 24/7 fund — it will go directly toward our emergency work.